Simon Says Stamp has a great new release out today called Fun & Festive which includes lots of great products for making your Christmas cards... plus more! 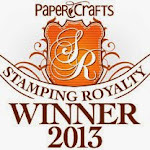 I didn't realize there was a set of dies that went with this stamp set and so I was really confused by the little face stamps that are part of it, lol. Anyways, in making this card I used washi tape to temporarily adhere the entire stamp set to the door of my MISTI since the stamps were all still new and straight in the packaging. You could also line them up one at a time to get the placement but this was quicker. 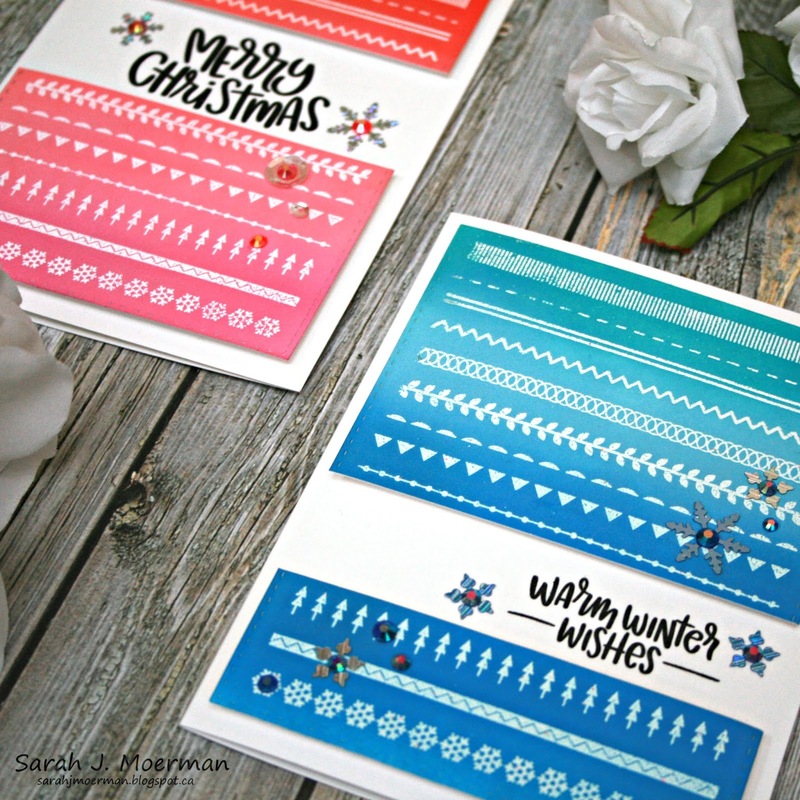 I inked up just the border stamps with VersaMark and stamped them on Neenah White cardstock before white heat embossing them. 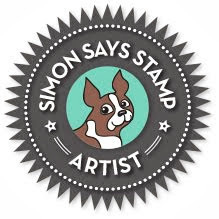 I did some Distress Oxide Ink Blending and die cut the panels with one of Simon's Stitched Rectangle Dies. I trimmed the panels between some of the borders, temporarily adhering the pieces to the notecards for placement so I could stamp the sentiments with Versafine Onyx Black Ink and clear heat emboss them. I then used fun foam and scoring tape to adhere the panels and give them dimension. Finally, I added some Simon Says Stamp Frozen Fractals Sequins and Lucy's Cards Rainbow Sparkle Jewels to finish the cards off. That's it for me today! 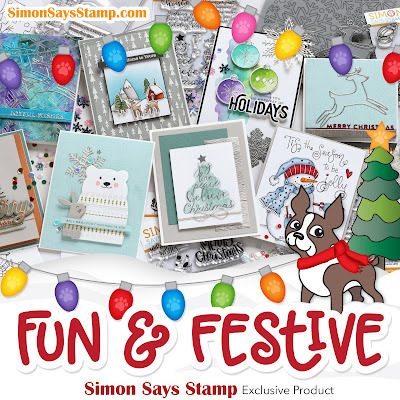 I hope you enjoy the new Simon Says Stamp Fun & Festive Release as much as I do! Lovely ombre effects! The patterns really reminds of a cozy hand stitched blanket. Loving the borders in this set that allow you to make custom backgrounds on your cards. Fab work. Wonderful cards, Sarah! Love the Ombre clrs & that awesome sweater design background! 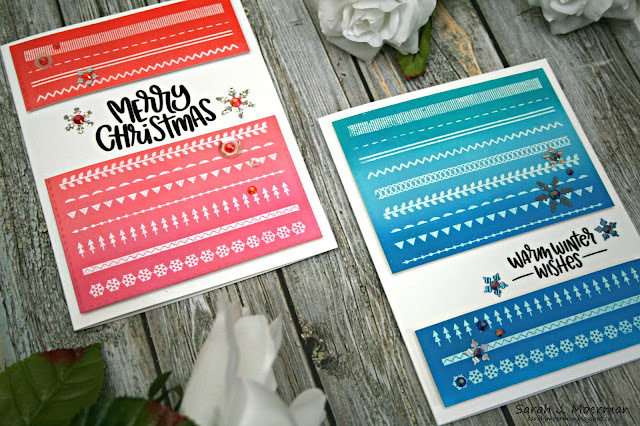 They are beautiful ombre cards. Thanks for the inspirations.